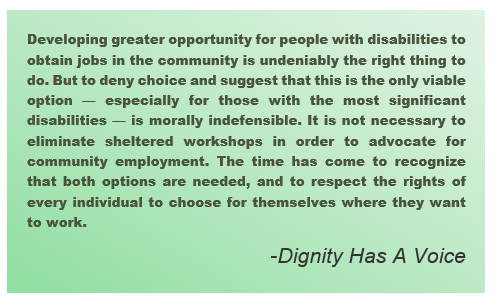 Meanwhile, a group called Dignity Has A Voice, composed of people with disabilities and their families, and the Missouri Association of Sheltered Workshop Managers are working to raise awareness about why they believe sheltered workshops have a place in today’s landscape of disability services. This subject provokes passionate response from both sides of the debate. Missouri seems to be a political arena that advocates, for and against sheltered employment, will want to watch as this resolution continues through the process in the Senate and into the Governor’s hands. This series being done at your site is excellent. 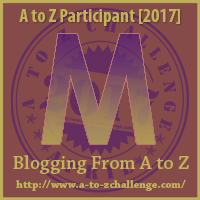 Thank you for using A to Z to get your message out in a fun and creative way. 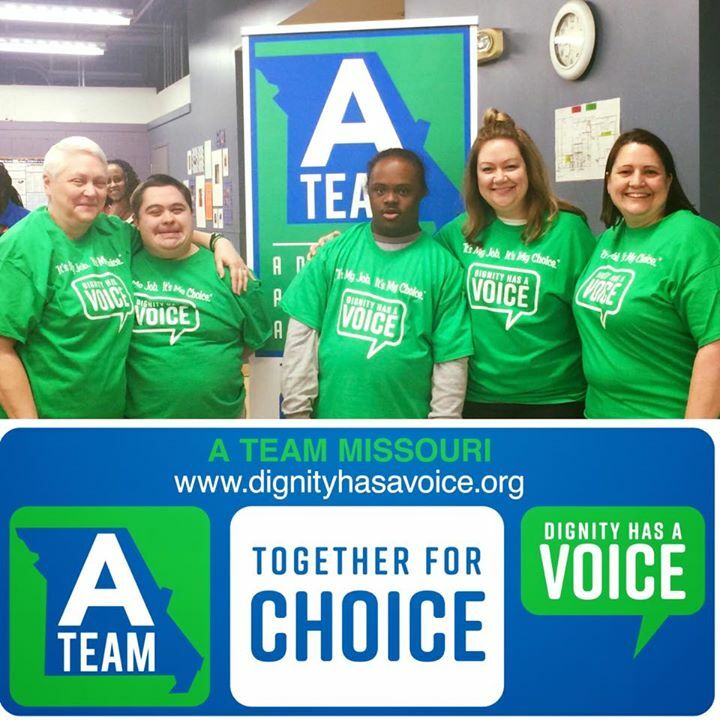 Thank you for sharing our efforts in Missouri to preserve CHOICE for people with disabilities! 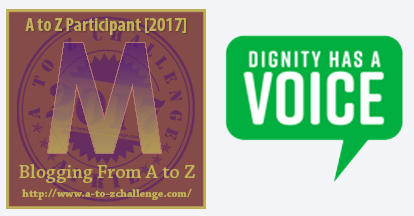 Our families are working very hard to spread awareness and your article is a tremendous help to that end. So happy to help! We believe in #MoreChoices here as well and we’ll be following your efforts. Good luck!